GPO makes available printed volumes of the U.S. Department of State’s official documentary historical record of major declassified U.S. foreign policy decisions. It’s called the Foreign Relations of the United States (FRUS) series. Now there’s a history about that history. History squared! Public law mandates that the State Department document significant foreign policy decisions and actions. It calls for regular installments in a “historical series . . . which shall be a thorough, accurate, and reliable documentary record.” This record, the FRUS series, comprises more than 450 individual volumes. 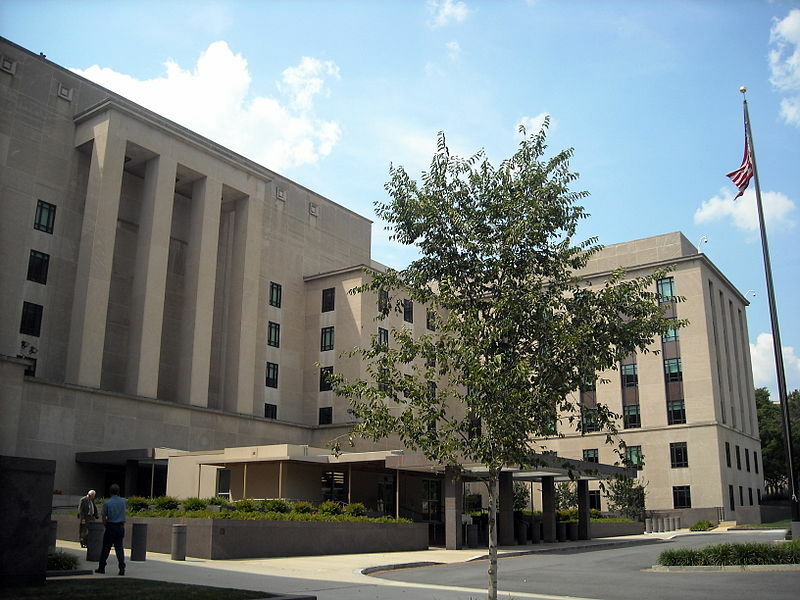 The Office of the Historian at the State Department is in charge of maintaining the series. Not long ago it tasked a team of world-class historians to pull together a history of the series. The agency’s historian, Stephen P. Randolph, writes in the book’s forward that FRUS “stands as the global gold standard in official documentary history. It is the longest-running public diplomacy program in U.S. history, and the largest and most productive documentary history program in the world.” FRUS is composed of sub-series for each presidential administration, with volumes representing different areas of the world or foreign policy issues. Although dedicated documentation didn’t begin until the Civil War, the series covers the foundations of foreign policy in the Jeffersonian era and follows the expansionist years, rise of global powers, Cold War containment, and the clash of modern superpowers. More than just a historical summary, this book is illuminated with touches of drama and humanity. It traces the series’ conversation surrounding the concepts of accountability and security as they relate to statecraft. At the heart of the “struggles define the ‘soul’ ” of this series is the negotiation between secrecy and public-minded openness. This work talks about the controversies and “how American officials drew the boundaries of responsible transparency.” It demystifies the FRUS debates on the evolving relationship between state and society. Toward “Thorough, Accurate, and Reliable” snapshots not only the content of U.S. government decision making but also the process of bringing potentially sensitive national security and intelligence information to light. To be truly valued and utilized, foreign policy, and its history, needs light. FRUS fulfills a public service. It represents the promise of open democracy and the expectation of citizens to know how their country handles itself beyond the shores. This entry was posted on Wednesday, May 11th, 2016 at 2:01 pm and is filed under Department of State, Foreign Relations, U.S. Department of State. You can follow any responses to this entry through the RSS 2.0 feed. You can leave a response, or trackback from your own site.